The software is versatile enough that it provides the users with option of viewing vCard VCF to LDIF, PDF, MSG and then converting them to multiple file formats. The wizard has the credibility to convert vCard to LDIF, PDF, MSG, etc. In addition to it, the software supports the export of both single and multiple vCard files also. 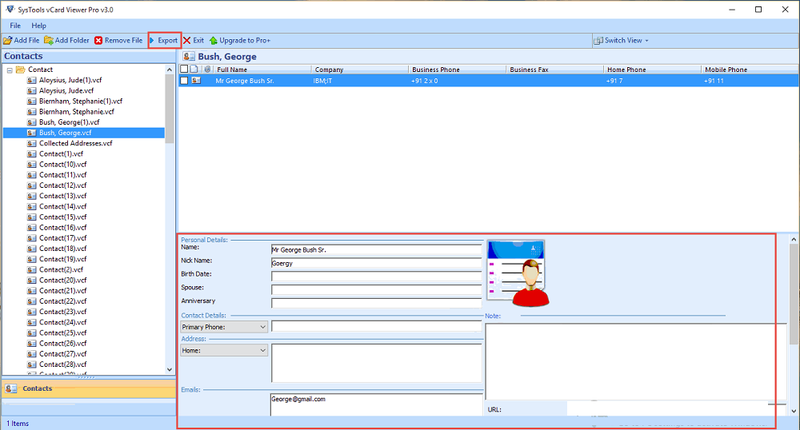 One of the wonderful features of this program is that it provides the users with option to sort out all the contacts stored inside the vCard File. 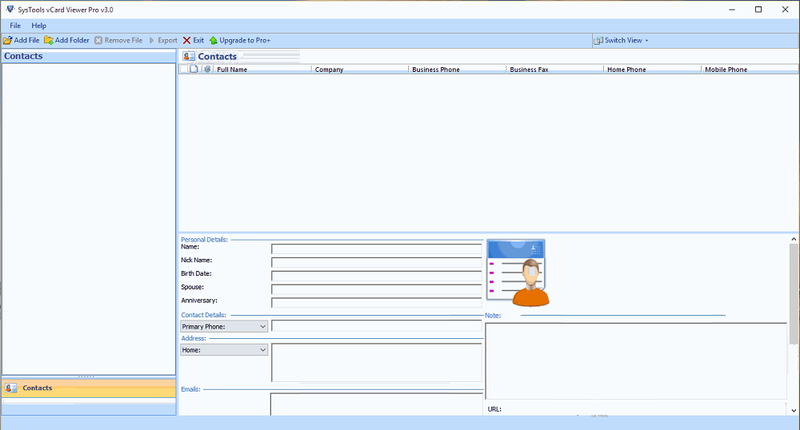 A user can easily sort out all the contacts on the basis of date, size, alphabetical manner, and so-on. It makes users feel at ease and manage the contacts as per the convenience. After viewing VCF Files, users can easily export vCard to MSG files. In case, the users opt for MSG File format for performing the migration, it makes a single contact.msg file. Once done with the transferring of VCF files to Outlook MSG, users can easily access the Microsoft Outlook application without any problem or error. In contrary to all the things that the wizard offers, the software even offers users with three options to export vCard to PDF, LDIF, and CSV format easily. Once done with the conversion process, it becomes totally easy for users to access this file format in any of the supporting application. It increases the credibility and usability of the VCF files. The Pro Plus program can be employed to view as well as transfer VCF to MSG, PDF, LDIF format and is completely independent of the platform. It can be considered as one-stand shop to support VCF file on any platform i.e., Outlook, Gmail, Thunderbird, and so-on. It does not make use of any other software for migrating vCard files. The wizard offers the users with an option to import vCard to MSG, LIDF, PDF, etc along with storing the files at a suitable location as per the user’s convenience. Moreover, the program is so sharp that it works according to the user’s requirement like creating a new folder from software panel to store resultant files. This Tool Supports to Only Preview Different Types of vCard Files Supported in Outlook, G Suite, ICloud & Skype etc. Explain the working of VCF to MSG Converter Tool? Step 2: Add File or Folder to add VCF contacts. Step 4: Select contacts to export them to various file formats. Is it possible to read and export corrupted / damaged VCF Files using the program? Yes, using the wizard, it is completely possible to import corrupted or damaged vCard files with an ease. Does the utility help users in saving files at the desired location? Yes, the program provides the users with multiple options to save the vCard files at any desired location according to the user’s requirement. Is it possible to migrate vCard to LDIF and PDF form via the converter software? Yes, using the robust utility, the users can easily save VCF files to both LDIF and PDF form. Is there any technical team to assist the users in conversion process in terms of chaos? Yes, the program comes with round the clock assistance for helping the users in the process of migration if they are facing any problem. "Thanks! to the team of FreeViewer developers for such wonderful work. I really want to appreciate you guys for helping me in the time of need. I was really stuck in a major problem where I the urge of converting VCF to MSG, LDIF or PDF files on Windows operating systems. But, your tool solved my problem in just a fraction of second. Good job keep it up, guys!" "It is really surprising that a single tool is capable enough to do a lot of things. Hats Off to FreeViewer team that combined everything in a single tool. 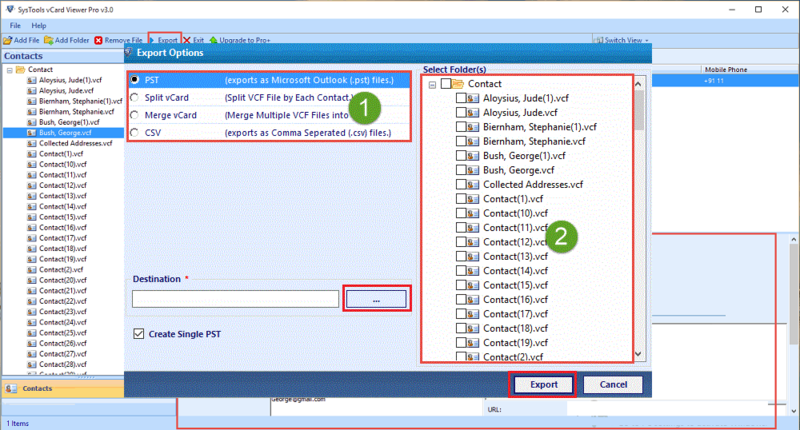 The application can easily shows the preview of the VCF contacts as well as export them into various file formats." "It was hard to find such an efficient tool. This VCF to MSG Converter tool works on Windows 10 and all the below versions. The interface of the application is quite easy that even a non-technical person can also understand and work with this tool. I must say that it is an amazing tool!"